It's a program that features a unique partnership between the Bureau of Land Management and several 4H clubs of Idaho. "The mustangs need a home as much as these kids need an opportunity to work with these horses," said John Mead the BLM mustang adivsor. "It's a good program and you won't see a dry eye in the group when the horses get adopted." 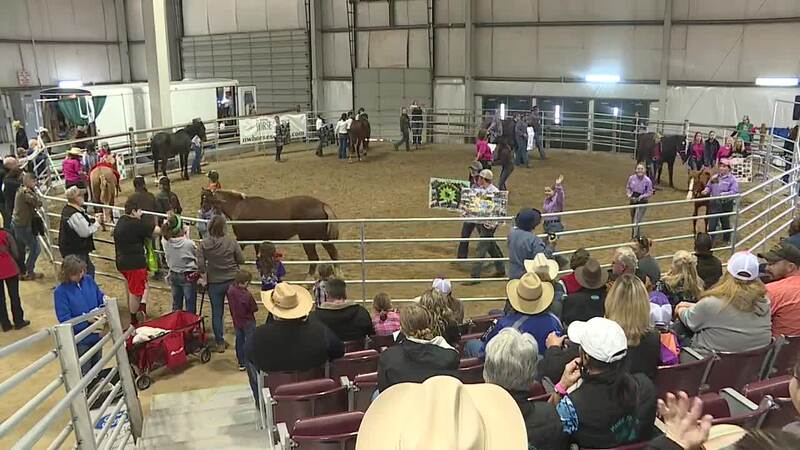 "I really love her and I hope she gets to go to a good home," said Lily Ottinger of the Purple Sage Riders 4H club.